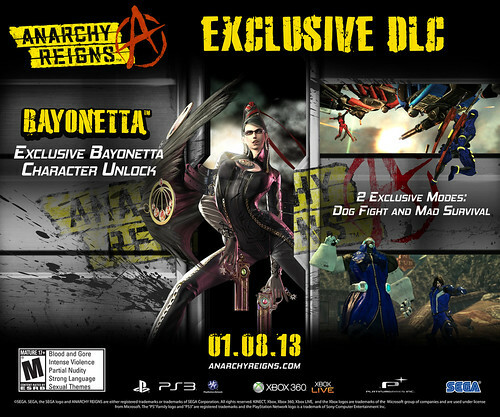 It was revealed through the Official SEGA Blog today that Platinum Games’s upcoming online beat ’em up Anarchy Reigns will be getting the special edition treatment in Europe with the “Day One” edition DLC for the game, which will feature two new multiplayer game modes and an extra playable character — the witch Bayonetta, the titular heroine of the 2010 action game Bayonetta, also developed by Platinum Games. Bayonetta fights in her own trademark style, wielding four guns (two of which are on her feet) and uses a variety of unique attacks from the game. It should be noted, however, that Bayonetta holds no actual advantages over any other playable character in the game, and thus players concerned with balance issues can put their fears to rest. The two new multiplayer game modes in the “Day One” edition are called Mad Survival and Dogfight. Mad Survival is a different take on the game’s own Survival mode, in which a team of three must defend themselves against multiple waves of enemies of varying strength — the difference in Mad Survival being that the enemies faced here are other playable characters from Anarchy Reigns, who will put up a much more difficult fight than the standard roster of enemies. The other new mode, Dogfight, is major departure from the game’s other modes in that it sees players hanging from moving helicopters as they attempt to shoot opponents out of the sky. Both of these modes will take place in the game’s already existing multiplayer maps, with the later mode allowing players to explore the additional verticality of these environments. “Day One” edition is currently exclusive to Europe, but SEGA soon plans to reveal how these bonuses can be obtained in other territories. 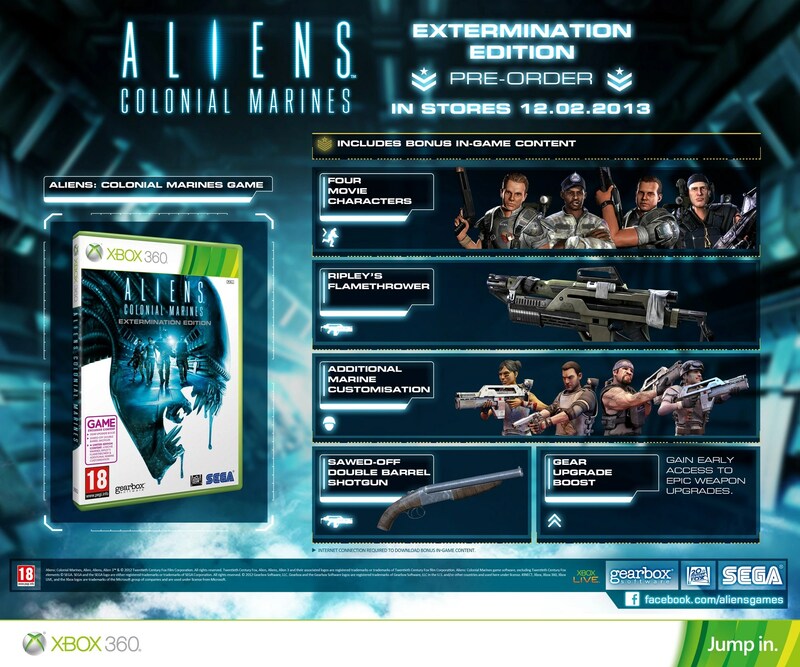 It can be pre-ordered from both online and physical retailers for £ 19.99 / € 29.99 for both PlayStation 3 and Xbox 360, while the game itself will be released in Europe on January 13th, 2013.